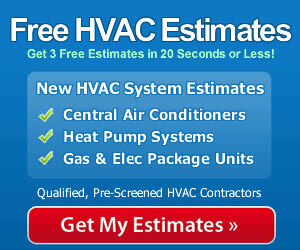 Q: Is there any way to get a general air conditioner price? A: Sure, but I need to ask you some questions first! See where I am going with this? Its VERY HARD to give a general air conditioner price, without knowing at least 2-3 answers first! At best, you can expect some very general answers, without first divulging some of the specifics about your needs. Forced Air of Hot Water System? Heat Pump, or Electric Heat? Are you in a Warm or Cool Climate? Is Your Home in the Sun All Day? How Many Windows on the Sunny Side? Do you just need to match whats there now? What BTU, or Ton Size is it? All of these, and many more questions MUST go into the estimation of cost on a new air conditioner system for your home, and choosing any one thing wrong, can have a dramatic effect on the wrong factor! The only way to get even a general air conditioner price, is to speak to someone who can ask the right questions, to give you the right answers!